The last thing you want to do is build a new home only to have your tile choices go out of fashion straight away. 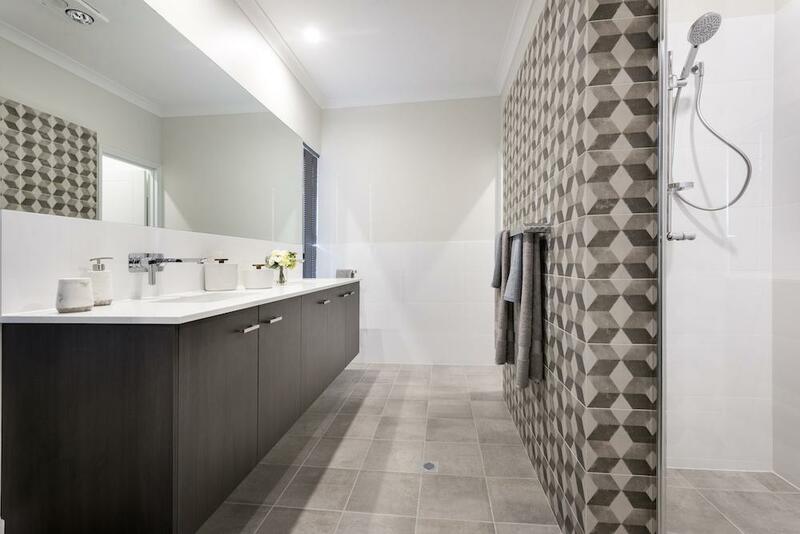 If you are currently selecting tiles for your home, you need to know what is currently trending and what will still be on trend for years to come. 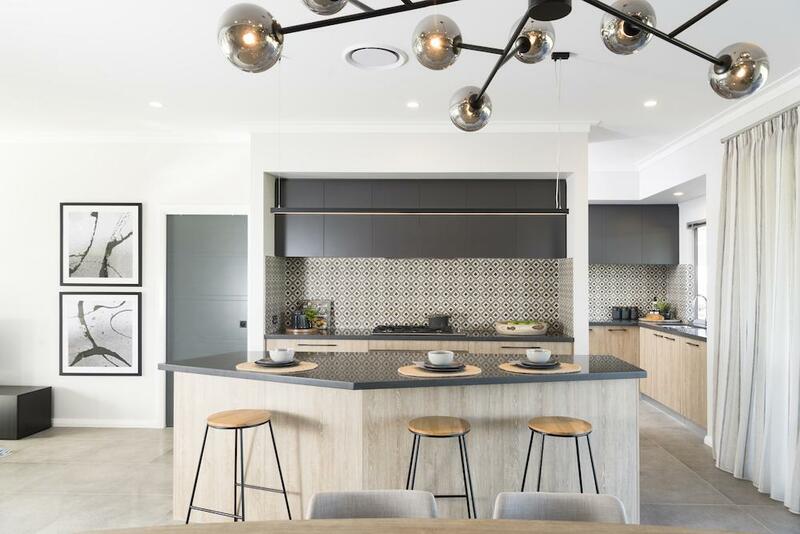 2018 will bring change to what we can expect to be popular in tile patterns, colour and shapes. Below are our trending tile predictions for the New Year. Displaying an irresistible statement of flair and versatility is the terrazzo tile, one which we expect to see more of in 2018. The colours and patterns available are set to impress customers in the New Year. Terrazzo ‘look’ tiles are another great option for those wanting the unique aesthetics of a terrazzo but require something more low maintenance. The pattern and natural stone of this tile is very appealing and effortlessly adapts to other colours and finishes in your home. If you are looking for something that sits between a classic look and modern design, then we recommend you go for this choice. Patterned designs on tiles aren’t going anywhere in the New Year. Fun tile patterns create a vibrant backdrop adding style to your kitchen. Geometric tiles are designed to create a purpose, allowing pattern and texture to shine in dull spaces. Consider selecting pattern designs to make a feature in your home, whether it be a wall or floor tile. Terracotta tile is made from a natural material that adds a rustic tone, creates warmth and brings comfort to a space. Yes, terracotta is making a comeback. The tiles will be used in a new and unique contemporary way featuring large, long, hexagon shapes and paired with pastel tones. Terracotta varies in thickness, size and colour, there is no limit to where it can be used which is why it will be so appealing. We will see more colourful tiles entering homes in 2018 as there’s an increase in demand for the handmade-look tile. Anything that will add earthiness to a space is great, especially paired with other bold colours. Glazed ceramic tiles are the most widely used tiles for bathrooms, kitchen backsplashes, and laundry areas. They have a glossy appearance which makes them easy to clean, stain and scratch-resistant, and fire-resistant. With industrial look and earthy tones currently trending steadily we predict this will continue in popularity into the New Year. 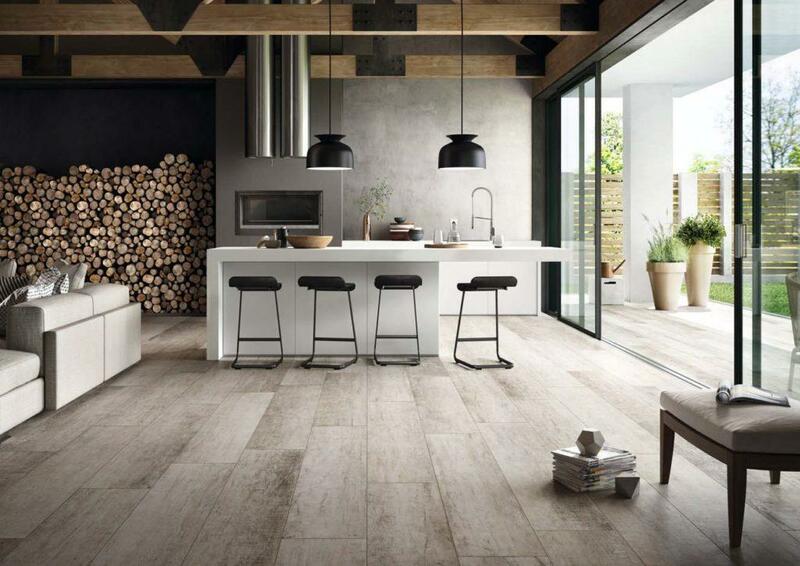 Trending for 2018 will be the concrete look, wood look, limestone and marble. In 2018, we expect to see matte finishes becoming more popular. Matt tiles feature a soft yet sophisticated look, and are great because they showing less water marks and smudges. If you are after a bolder design that will really bring your bathroom to life, try using both matt and gloss finishes. Combining the two will give a sparkle effect to the tiles that shines from different angles of the room. Don’t be shy about trying darker colours in the New Year Get super stylish and try experimenting dark and bold grout options with lighter tiles. Dark grey is trending right now in grout choices paired with a beautiful white tile. It can give your home a bold or industrial feel and hides the dirt in mess prone areas such as the stove and shower. Seamlessly blurring the boundary between indoor and outdoor living is very on trend right now and will continue to be for a while. The indoor outdoor living trend involves the creation of a floor area that runs from your inside home, outside into the alfresco at the same height, using the same tiles, for a seamless transition. This visually expands your home and allows you to create a truly open living space that will capture the outdoors. 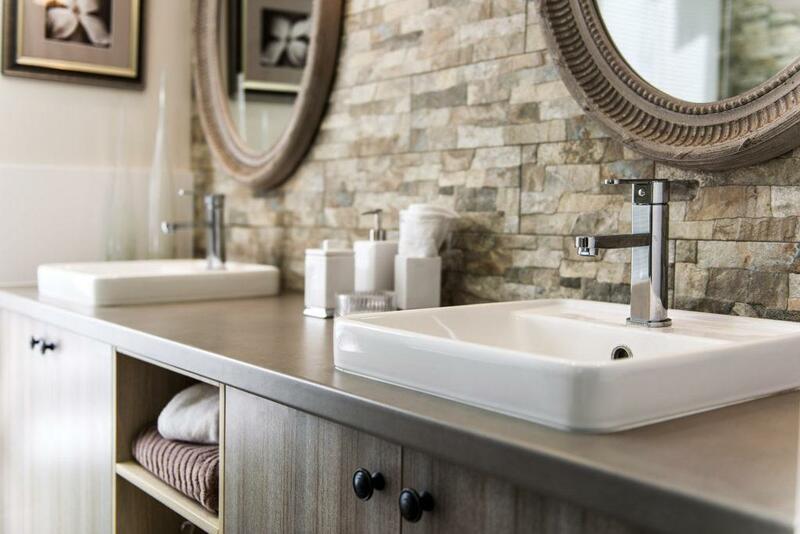 Ceramic tiles with a natural stone look are a great option for this trend.